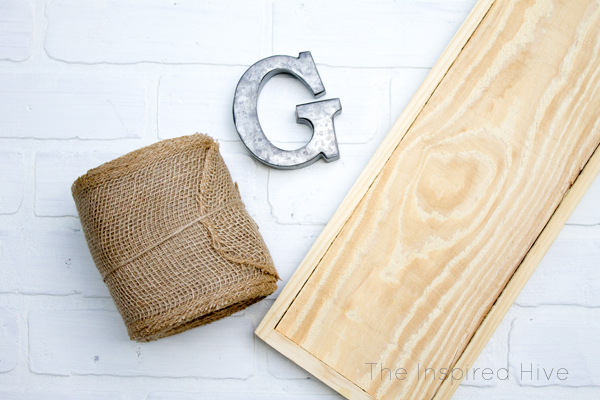 Have you ever tried doing a project when all of your craft and DIY supplies are packed away?? 😂 It certainly made the July Monthly DIY Challenge a true challenge for me! It was getting close to time to move out of our home, so half of our belongings were already packed away. 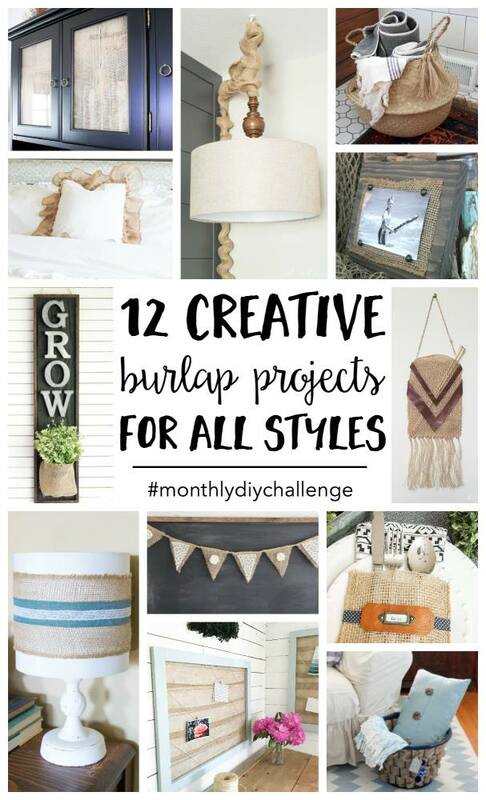 However, I didn't want to miss out on this month's fun challenge because we had the opportunity to partner with our friend Carrie from Kenarry | Ideas for the Home using her line of burlap ribbon! So, I picked up a few things at Hobby Lobby and made use of a couple of tools we hadn't packed away yet. There is definitely easier ways to do this project, but I worked with what I had, and I love how it turned out! 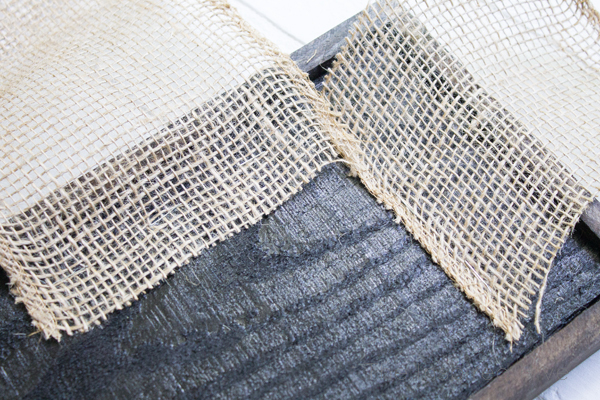 Big thanks to Kenarry: Ideas for the Home for providing burlap ribbon for us to be creative with! 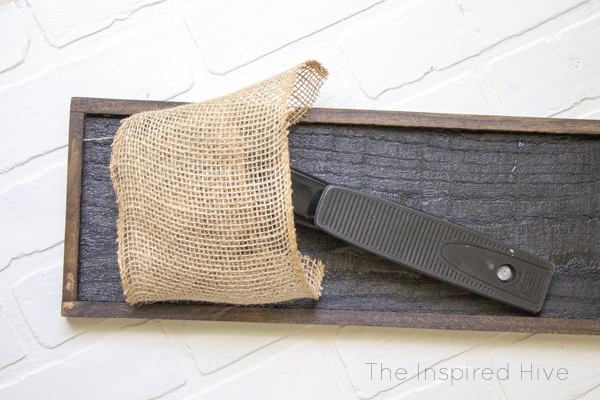 Burlap ribbon is a great item to keep in your craft stash because there are tons of different things you can do with it. It also can be used with a variety of decorating styles, as you'll see from my friends' projects below. When I found out this month's challenge, I immediately knew I wanted to make some sort of planter. When I took inventory of what supplies were actually still available in my partially packed up house, I decided to make a modern farmhouse styled wall planter for a faux plant. First, I gathered my supplies. I picked up some galvanized letters and a wood panel from the craft store, but otherwise I made use of what I had on hand. Next, I used painters tape along the inside edge of the frame, and I stained the surrounding frame using my favorite stain color. 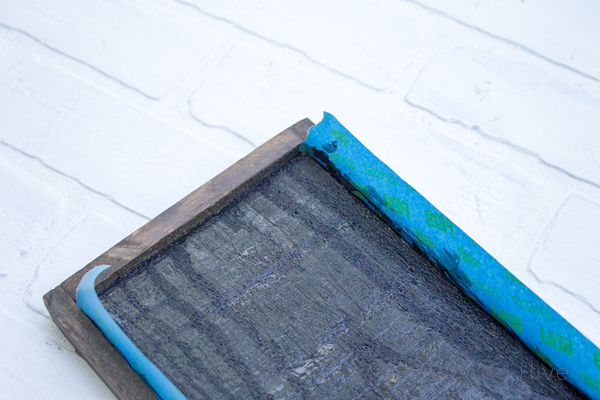 Once the stain was dry, I taped along the frame, and then I painted the wood panel with a flat black paint. In the photo below, you can see how I stapled a short piece of burlap ribbon to use for the bottom of the planter "bag" and a longer piece that would wrap around the front of the plant. I folded the bottom piece up and wrapped the longer piece around to the other side of the panel. 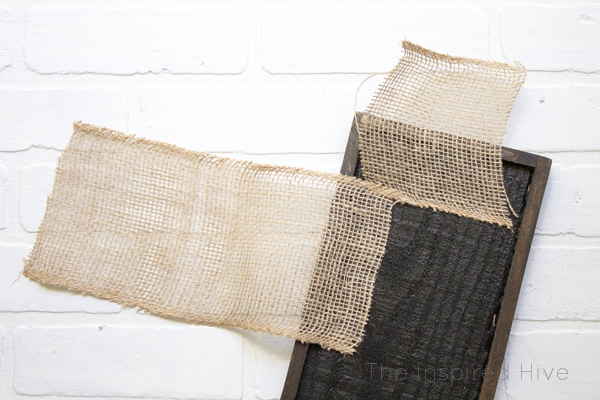 I placed the stapler inside of the burlap to staple the second side. Once the plant is placed inside, you can adjust the bottom piece to fit the plant by tucking it in. The outer piece should be snug enough that the bottom flap won't fall. Test it with your plant before adding those final staples! 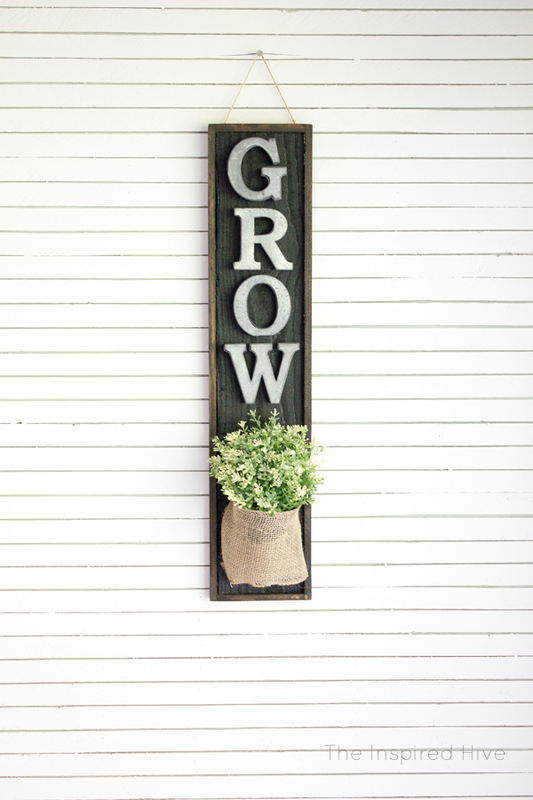 Next, I added galvanized letters that spelled "GROW." I centered the letters down the board and used small nails to attach them. Hanging the planter was my next big challenge. I planned to staple twine to the back, but the wood on the back was finished differently than the front, and the staples would not go through. My heavy duty staple gun probably would have done the trick, but it was packed away. After trying a few different things, I found some super glue and used it to attach the twine. 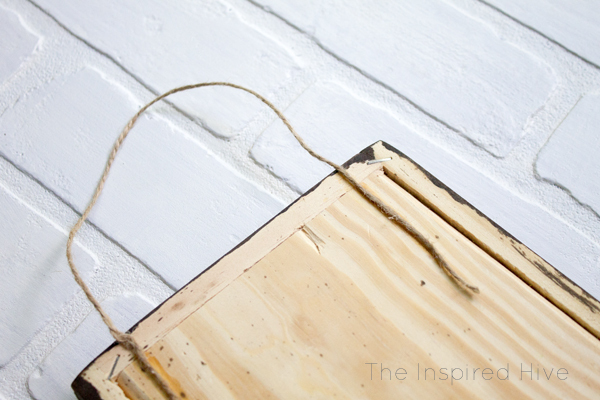 It soaks into the twine and takes longer to dry than normally, so be careful if you use this method. Dry thoroughly! Ahhhhh, I'm sooooo thrilled with how it turned out! And it looks perfect on my skinnylap wall. I sure am going to miss this kitchen. This hanging planter is a great piece of art for a modern farmhouse style kitchen and was an easy DIY. I can't wait to see how it looks in our next kitchen. 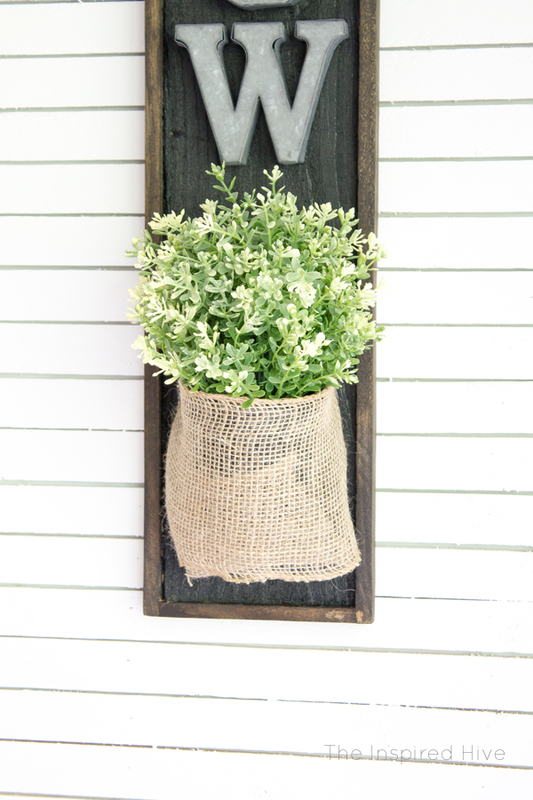 The burlap adds the perfect farmhouse touch! This is adorable Nicole! You can never go wrong with a good planter project! 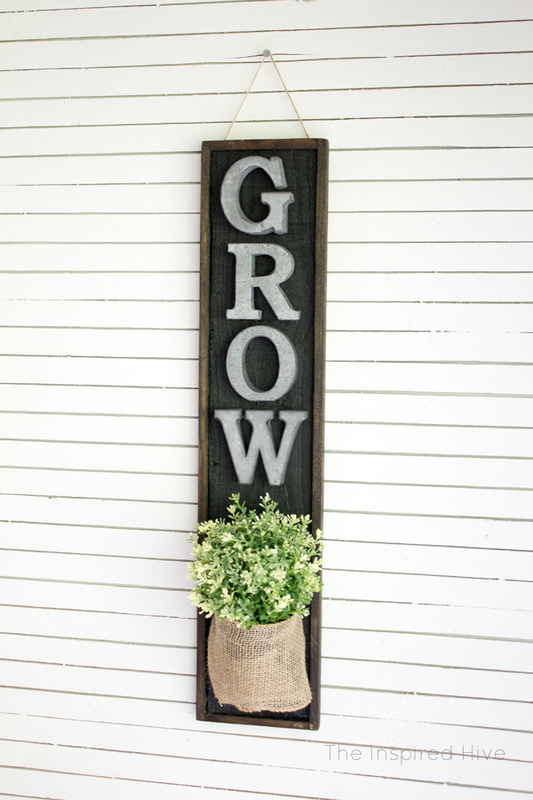 Nicole, I love how you used burlap ribbon to make this gorgeous planter for your wall. 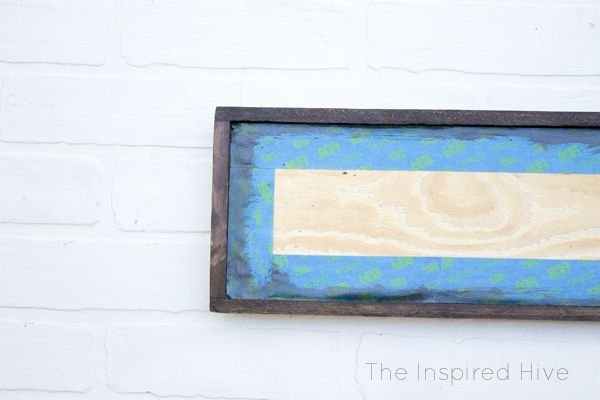 It looks fantastic on that skinny shiplap wall, but I'm sure you'll find the perfect place to hang it in your new house too. 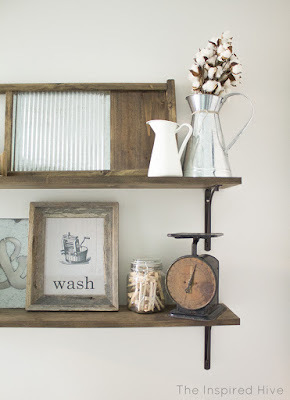 Galvanized metal, dark wood and burlap -- I just LOVE that combo. 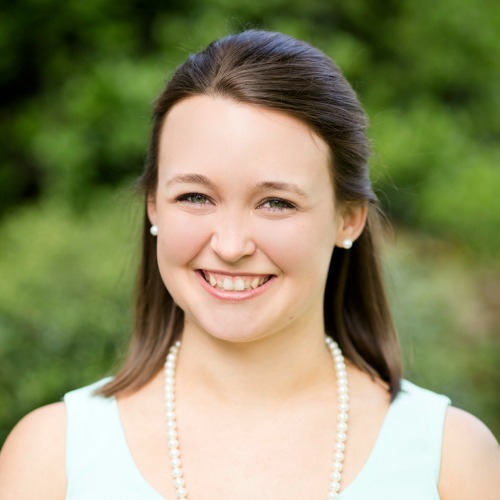 Thank you so much for sharing this fantastic idea with your readers. This is seriously the cutest project ever! I looooove it, Nicole! Might be one of my favorites of yours yet! What a great idea, Nicole! 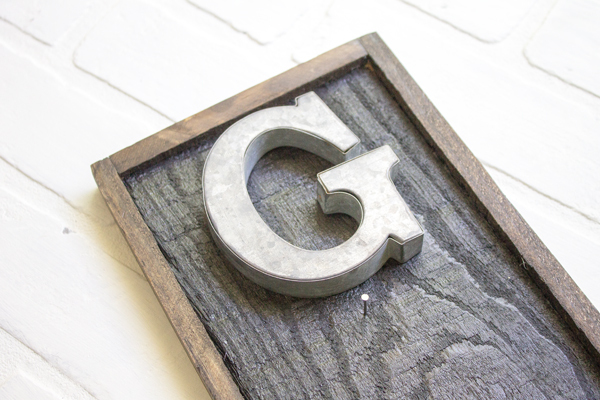 Live the galvanized letters! I love this, Nicole! It turned out so cute! Holy smokes lady! This is beautiful! 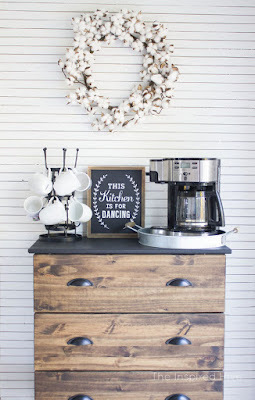 I'd love something like this in my kitchen or front entry. It looks really stylish!